Premium knee support & stabilizer with gel pad is designed to soothe discomfort and support healing. Its 4-way elastic design fits a knee's contours to help improve joint stability while allowing healthy movement. Specially designed, donut-shaped gel pad encircles the kneecap for proper positioning, with soft lining inside to prevent it from sticking to skin. With a center cutout to improve comfort and mobility, this premium support is perfect for anyone with knee instabilities, injuries, arthritis, minor sprains or tendonitis. 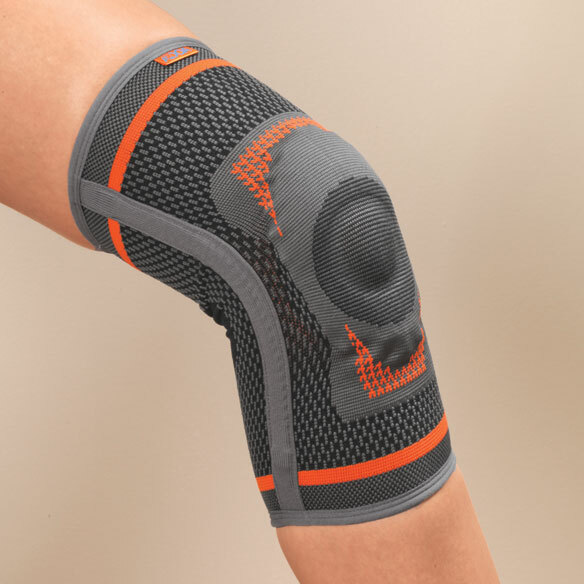 Knee brace supports and stabilizes knee joints and muscles. Comfortable gel donut keeps kneecap properly positioned. Cutout center is lined to prevent sticking and skin irritation. More breathable than neoprene supports. Measure below kneecap to determine correct size. 3 sizes: small (12"–14"), medium (14"–16"), large (16"–19"). Knee stabilizer made with 60% nylon/20% spandex/15% TPE/5% spring. Make sure it is put on correctly so pad encircles knee. Did take s while for delivery. No I would pass purchasing this one again. I went to put it on need it to be a little bigger seemed very tight on my leg. I have a problem with my knee and I will try this support if it's really give good foundation in standing and walking by not hurting my knee. I looks easy to use and appears to offer lots of good stability. My issue is, How to keep my knee completely aligned while working to avoid sciatic nerve pain. This looks like it will work for that purpose. my knee support from pain. Looks like it would work well for my knee pain. Bought one and it helped her.. I need one for my knee. They help a lot. Looks to be more robust than the thinner lycra models. I need a little more support without having a hard brace sturcture. Looked like this will be the most comfortable on my new knee. Husband has had knee problems and this will help him with his work. my husband and i both have knee problems. Hope these braces help. Appears similar to a brace that I own and like, but is less costly. My knee hurts, and this support has just the right features for me. For need, comfort and convenience. It is a very catalog to choose from. Stepson crashed into a very large rock on a motorcycle at our home. Recovery is coming and he will need this brace. how do you wash this knee support and what is good to use?? BEST ANSWER: Thank you for your question. The brace is hand wash only and then air dry. 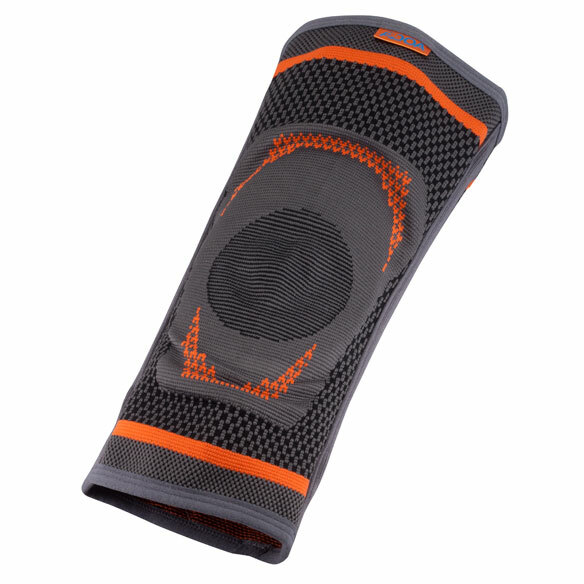 The knee support is good to use if you have a knee that is feeling any aches or pain. We hope this information will be of help to you. How large of a thigh well this fit? BEST ANSWER: Thank you for your question. A small will fit a 21" thigh and a large will fit up to a 31" thigh. The large can fit a 21" thigh. We hope this information will be of help to you. You stated a large will fit up to a 31" thigh and then stated a large can fit a 21" thigh. That is confusing. Which is it?